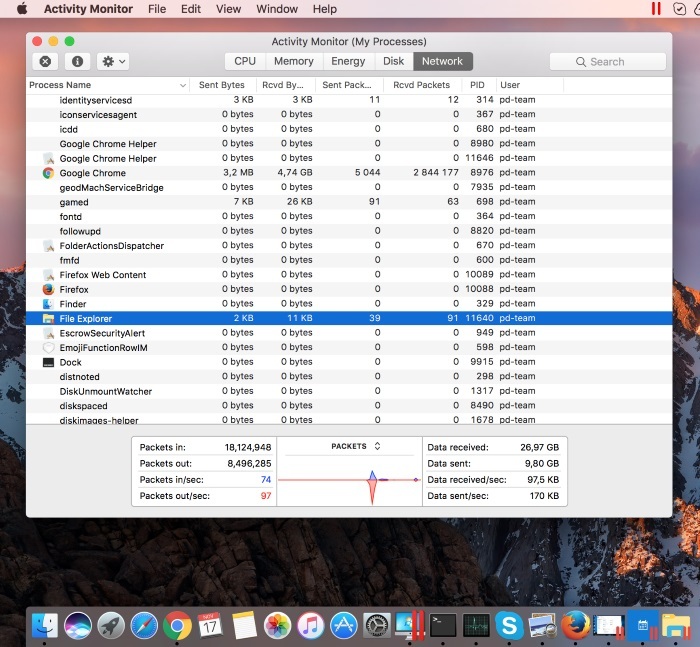 While working with Mac and Windows applications, one of your Windows applications hangs and does not respond to your mouse. Other Windows applications are working fine and Windows virtual machine itself does not hang. 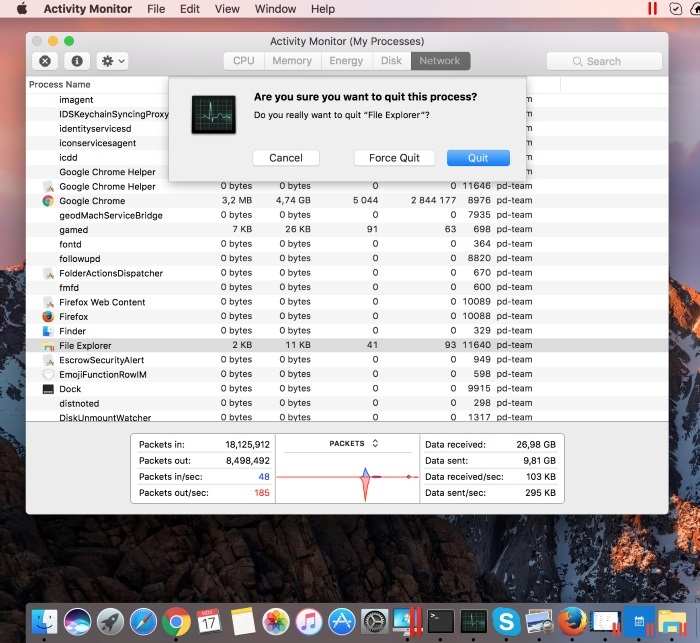 With Parallels Desktop you can use the native Mac Force Quit option for both Mac and Windows applications at the same time. 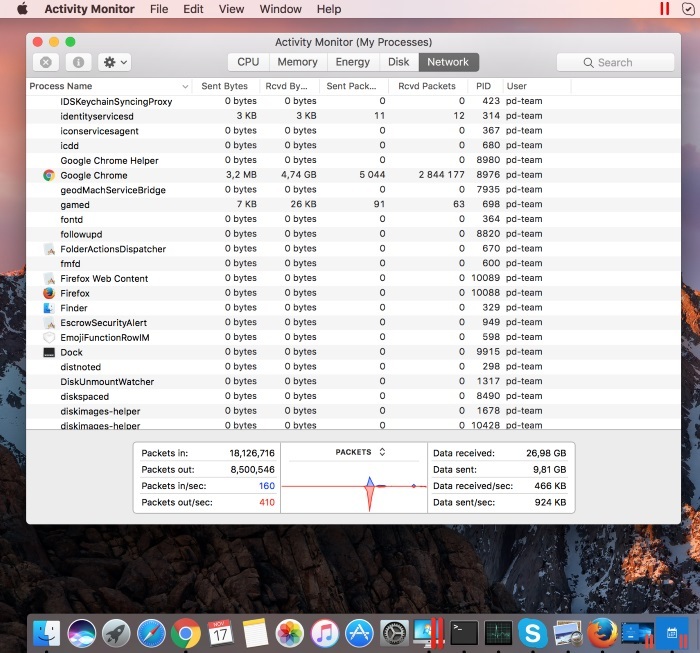 The list in the Activity Monitor window includes Mac and Windows applications in alphabetical order. Windows applications are marked with the || sight in the right down corner of an icon. 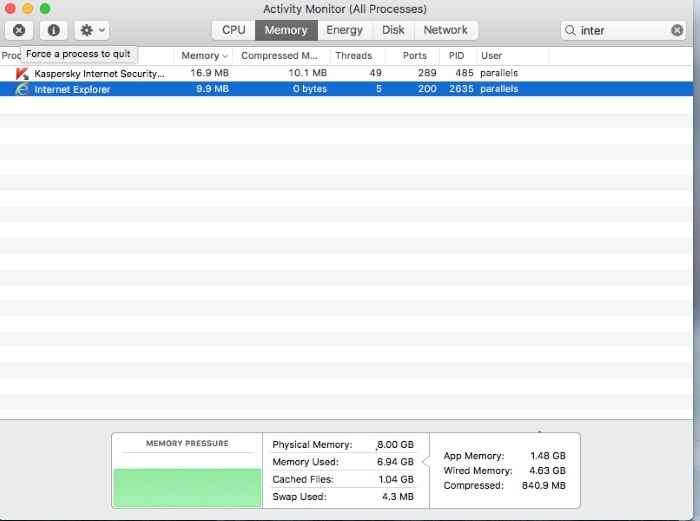 On the top left corner of Activity Monitor window find cross icon, then click on it. Select Force Quit to quit hanged Windows virtual machine (VM) application.